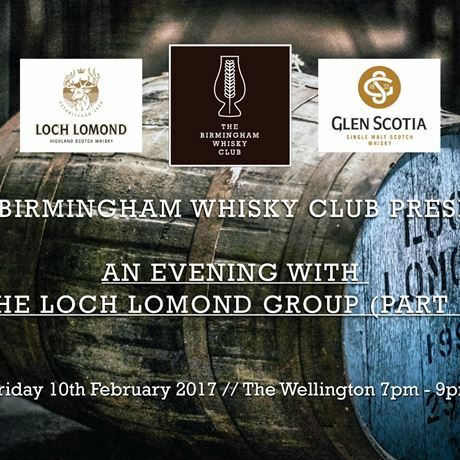 The Birmingham Whisky Club would like to invite you to to join them at The Wellington on Friday February 10th 2016 for 'An Evening With Loch Lomond Group (Part 1)'. Learn about the group's delicious whiskies, the history of the brands and taste through a selection of their delectable drams. The Loch Lomond Group is an independent distiller and blender of of some of the finest and rarest Scotch whiskies in the world. Their heritage is amongst the oldest in the industry. They have in three distilleries in locations steeped in whisky history. A malt and grain distillery at Alexandria on the banks of the iconic Loch Lomond; and a malt distillery in the historic ‘capital of whisky’, Campbeltown. For this tasting, you'll be enjoying a selection of Loch Lomond and Glen Scotia whiskies. Since 1814, the Loch Lomond Distillery has been producing the finest single malt and single grain whisky. Situated on the banks of Loch Lomond, it takes its name from this most picturesque of all Scotland's lochs. In the Victorian age, Cambeltown was known as the whisky captial of the world and one of the five distinct malt producing regions of Scotland. Only three distilleries have maintained production from those heady days of the 1830's. One of the finest is Glen Scotia. Learn more about these whisky icons with Ibon Mendiguren, whisky expert and Brand Development Manager for Loch Lomond Group and taste through a delectable selection of five drams. With this fantastic line up, we can guarantee you're going to fall in love with the Loch Lomond Distillery. Tickets are just £25 (£20 for members of The Birmingham Whisky Club) to taste through this fantastic line up. 7pm – Tasting begins. 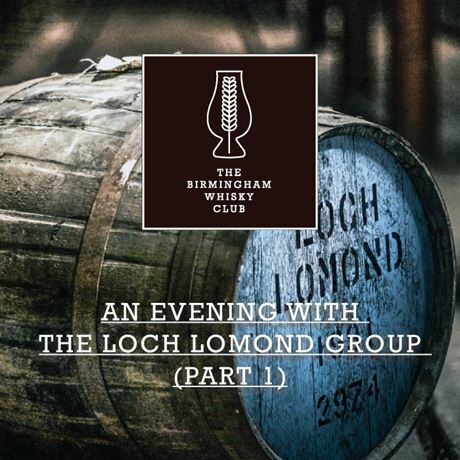 You will be led through a selection of different drams by the experts from Loch Lomond Distillery and get a chance to ask all of your burning questions throughout. No refunds or transfers. Events is strictly over 18's Only. Tickets are sent in e-ticket format. Please bring a print out of these or have them ready on your phone/tablet for scanning on the day.